The patent process of a FREE energy device involves different conditions in comparison to patenting other inventions. The inventor must be aware of these specifically - As these conditions can prevent the invention from reaching the public. The information on this page describes the elements which concern the patenting of FREE energy technology. Panacea is also providing this information to help inventors learn about the advantages of patenting a FREE energy device verses releasing it through a general purpose license, creative commons and open source.The aim here is to assist the inventor to get their technology known and out to the public. 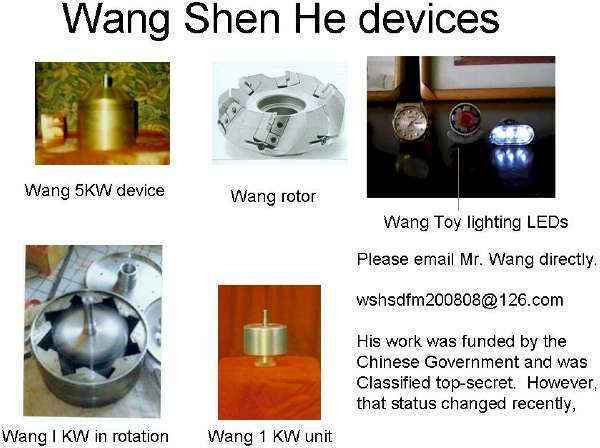 The inventor must understand ALL the realities of the situation where FREE energy patents are concerned. First one must be aware of the reports from past FREE energy inventors especially a particular patent office employee describing an ever growing hold over FREE energy technology via the corporate patenting process.Then you must understand that there are ways around this. patent suppression case of the Joseph Newman free energy device. Tom Valone is a former patent examiner who was fired years ago from the patent office and recently won a lawsuit against the US Patent Office. Tom was awarded reinstatement and six years of back pay. Dr Thomas Valone estimated that patent applications for FREE ENERGY related technology have been "secretized" over 3,000 times over the years. The US Patent Office reports that these patents are "protected" for "National Security reasons". Reference: SECRECY ORDER-(Title 35, United States Code (1952), sections 181-188) Reference: The US military reviews all patents before a examiner sees them. The Government could take a patent away from you and classify it as secret. Special Thanks to Craig for this. The following document lists what technologies are to be Secretized by the panel at the Pentagon that looks at every Patent Application this was de-classified via the "Freedom of Information Act". The current list of technology areas that is used to screen patent applications for possible restriction under the Invention Secrecy Act is not publicly available and has been denied under the Freedom of Information Act. (An appeal is pending.) But a previous list dated 1971 and obtained by researcher Michael Ravnitzky is available here (pdf). Most of the listed technology areas are closely related to military applications. But some of them range more widely. Note that in there listed is: "Fuel Conservation Technology" and "Alternative Fuels" as being subject to Suppression also "Pollution Reduction Technology" and "Apparatus for Increasing Efficiency" and "Hydrogen Enrichment Technologies". Photo-voltaic panels "in excess of 20% efficient"!! It is interesting that this is the limit of what is AVAILABLE FOR SALE TODAY. A coincidence?. This is a smoking gun that shows that the corruption in the Pentagon to keep us using primitive and polluting sources of energy to perpetuate their monopolies, is still going strong. these people who Review Patent Applications, HAVE NO CONGRESSIONAL OVERSIGHT AT ALL. They are a law unto themselves.Of course most things listed there are weapons or tech that could be used for weapons.But are we really worried if "terrorists" can get "60 miles to a gallon of gas" Or if they have solar panels by their caves that are 30% efficient instead of 19% .This document is very damning. It shows that this is not about "weaponization" it is about perpetuating illegal Trusts and monopolies; and is inherently CORRUPT. When we consider these corporations have Public Stocks and actively manipulate the Energy Commodities Markets, it is clear that this is illegal stock manipulation and price fixing on a huge scale. This is only one example to show a Petition/Class action/Mandate is needed to be sent to our political leaders to get these illegal suppressors STOPPED. This link is provided on this page. The old Patent Applications need to be RE-EVALUATED and those not remotely "weaponizable" RELEASED TO THE PUBLIC.A new Panel of independent scientists and TRUSTEE'S are needed to do this work. The illegal suppression of SAFE energy technologies is helping DESTROY this planet will go on indefinitely otherwise.These people have NO INTENTION of ever giving up their un-precedented power over us all willingly. Here is another modern reminder shown in the Wang Shum Ho generator. There is also "academic " elements which can interfere with the inventor attempting to patent a FREE energy device. Inventors cannot get a US patent based on "Cold fusion" or "free energy" Quote -Arie held several patents. The ones on alternative energy were mostly held at WIPO and filed in the Netherlands because the US patent office are biased that he did not waste time or money on them if the invention was at all close to cold fusion or free energy.-End quote. Joseph Newman's case is another example of a FREE energy inventor getting refused a patent on his FREE energy device (due to his new discovery not yet being known in academia).There are countless more reports of this going on in the patent office. postal service a reply1 and reply2, timely. Canada has also rejected my PA. But China, Ukraine, and Costa Rica are still working on the same PA.However, the USPTO personnel sent me a letter of abandonment saying they never received my reply1 and they treated reply2 as a petition which was denied. I am going to let stand their abandonment because it is a ruse to keep me from properly addressing their rejection. It appears to me, USPTO has a number of internal problems which need to be addressed and corrected else the US Congress must pass legislation to abolish the USPTO and start from scratch.I propose a new PO to branch into divisions depending upon subject matter -End. These are modern examples. The academic problem in the patent office or misunderstanding of the FREE energy principle / new discovery has been going on for a while. Take the time to think, if only for a minute, what either Tesla's FREE wireless electricity or Moray's device would have meant for mankind. How much better the ecology would be now and how further we could have gone if this decentralized FREE energy power was available.Even since the time of Plato new discoveries have encountered interference and need a specific research facility that is independent, non aligned and evidence based for real time momentum.Howard Johnson talks about his new energy invention going through the patent office.After a big fight in the patent office and going through the court of appeal we finally go accepted. Despite Howard Johnson's working prototypes he could never get them into applications., could this be due to the establishments not understanding what his new discoveries where or didn't agree with them?. DePalma N-machine - Case - Trombly had his N-machine confiscated by the FBI under the Inventions Secrecy Act. The only thing they didn't take were some documents he stashed above the false ceiling of the lab. 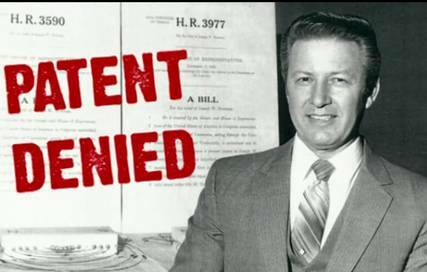 Trombly said over 200 patents on the N-machine have been classified under this Act. Under the Act the inventor isn't even allowed to say he has been served with an order and the govt is under no obligation to compensate the inventor. However despite earlier incidents and modern examples, there has never been any security or any institute in place policing this or providing needed assistance for the inventors. Panacea is the only institute known in existance attempting to provide this education and help. The evidence that FREE energy device patents have been with held or interfered with is there and this continues as the conditions remain. The question must now be posed. What security from this corruption is in place? NONE. Given the report of the sheer amount of devices now hidden which can create FREE energy there is a clear reason for a policing PROCESS or intervention and reform for security against any spurious influence.Without regulation and public intervention into this free energy patent issue the corporations will continue their attempt to own life and subjugate the public. There are other elements present in the patent process which allow for technology to be with held. Other examples are important to illustrate the need for reforms into the patent office process. One example can be seen in the EV1 electric car case.Texaco sold the NiMH battery technology to Amoco. GM had a 60% controlling interest in the technology, and announced their sellout of world wide patent rights to Texaco on October 10, 2000. Six days later, Chevron bought out Texaco in a 100 billion dollar merger. Cobasys is Chevron's subsidiary, which effectively killed further development of the NiMH batteries for all-electric cars. Panasonic had developed a "E-95" NiMH battery that was powerful enough to energize an all-electric car at speeds to 80 mph, and with a range of 120 miles. The expected battery life was longer than the life expectancy of the vehicle, and in fact more than 1,000 of Toyota's RAV4 EV units have already surpassed the 100,000 mile mark. Cobasys successfully sued Panasonic for the sum of 30 million dollars, thus killing any further sales of EV-95 batteries. The batteries cannot be sold, or imported, into the US. Cobasys refuses to grant any other company the license to manufacture the EV-95 batteries, and will not even think of producing the EV-95 themselves, unless guaranteed a massive order by an OEM. The only currently available alternative to a EV-95 NiMH battery is a lithium-ion battery pack, but these typically cost around $14,000, which is about 6 times as expensive as an EV-95, and haven't been around long enough to establish a proven track record.The EV technology is a story of two crimes against humanity. The first occurred when GM failed to develop the RV and sold the worldwide patent rights to an oil company, which GM obviously realized would have no interest in the technology other than to suppress it. The second crime against humanity is how Chevron very effectively stifled any efforts to utilize or advance the NiMH technology. What we really need is a reform of patent laws to allow for criminal prosecution and penalties against any patent holder who participates in any activity that results in suppression of a technology which would otherwise hold great promise for the benefit of mankind. The reform laws should include all past, present, and future patents. This is the only way to free up the thousands of existing patents on FREE energy that are currently being suppressed. Current patent laws left undone with out security can serve and protect the criminal actions and behavior of corporations and special interest groups who wish to advance their own agenda at the expense of all other peoples and groups. These empirical accounts justify the need for safeguards to be put in place to prevent any possible corruption. With a public gesture of this nature, Panacea rationalizes that it will have the capacity to attract (based on the evidence in the energy suppression section) additional "whistle blowers" out there. FREE energy patents are only the tip of the iceberg, Tewolde Berhan Gebre Egziabher has exposed the absurd result that has arisen from the decision to extend the law of patents to living organisms. The person who discovers a gene is, in effect, conferred ownership of it via a patent! In short, 'Patenting life is owning life'.To the recent Will US Patent Office end gene patent enslavement of the human race?. Another function of the proposed granted non profit Panacea research and development center is to have a registration process available to the inventor. Thee free energy technology can be registered through us from the patent office with a joint mutual agreement by the inventor. This agreement is a clause in which prevents the shelving and gives the technology a time span before public release and many other advantages. Under Research articles and Links below The article "Action to Declassify Secret Energy Patents by Gary Vesperman "A Proposed Bill to Support New Energy Sourcese" There is a list of many empirical cases with reason for investigation and reform. The public can help by creating public pressure through the signing of the petition at the bottom of this page. For the inventors mean time the following must be made clear. For inventors wishing to make sure their invention is secure in the public domain and therfore cannot be patented. A public disclosure of the information must be careful planed, placing the information into the public domain must be precise and so obvious that, any patent route would be denied. With out this PRECISE disclosure, disclosing information publicly may not stop the information from being patented. If a patent application is made and you have spent a lot of time and effort in watching all new patent applications worldwide in order to detect just such an occurance, and you want to oppose the application on the grounds that it is your idea and you have published the information in the Public Domain, then doing that is incredibly expensive. For example up to $500,000 being quoted as being necessary to oppose just one patent application. The bottom line is that a patent is almost worthless unless you intend to start manufacturing the device yourself. In that instance, it gives you some protection in that if someone else claims that you are manufacturing in breach of his patent, you have a very strong case in that you hold a patent on the process which you are using. Malicious opponents can cause you a great deal of nuisance by a spurious claim that you are breaching their patent, even when it is clear that you are not, and a court might even direct you to stop manufacturing until the court case is heard (years later). There are two good steps to securing information out into the public domain. 1. Document it and distribute it freely via the web as the information then reaches thousands of people all around the world and there is no way that your information can ever be suppressed after that. Panacea can also assist this by publishing the information on our on line univertsity. Also Panacea can help you issue a general purpose license at the request of the inventor. "This license is the most restrictive of our six main licenses, allowing redistribution. This license is often called the “free advertising” license because it allows others to download your works and share them with others as long as they mention you and link back to you, but they can’t change them in any way or use them commercially." An inventor can still open source which SECURES the release and can seek remuneration- How? The Ebook can also be at a set reasonable price with the option to donate for Further research funding. Education on the method, advancing education. An educational model with plans and a kit. Ossie Freeedom has already proved that open source can earn remuneration. Ossie is behind the " water for gas" E-books. This E-book made millions per year merely by open source instruction on how to build what is considered today to be a primitive fuel saver. 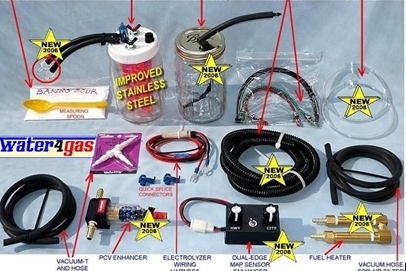 Water for Gas Kit - Open source Parts detailed in the Ebook. The technology is still OPEN SOURCE . You can get remuneration by books sales if that's your motivation. Has an inventor already taken the plunge with a promising over unity free energy device? YES. Has he done what we suggested? YES. Has he been able to recover funds and get the technology out there safely? YES. Art Porter is an inspiration to us all. Art has open source his Gap-Power invention . Art still receives remuneration through DVD sales. despite beijng open source. In his video series Art demonstrated what some call "regauging. Art calls it" GAP Power magnetic amplification". Either way the device has shown interesting results, including what appears to be an excess energy gain. Art is open source this all the way. The inventor must fully understand the patent process. One must realize that a patent does not protect your invention in any realistic way and very few people would see and/or understand your invention through your patent. A patent only gives you a very slight edge during a long and very expensive lawsuit taken by you against somebody infringing your patent and selling a product based on your design. It is estimated that youwould need the best part of one million dollars US to even think about doing that. You need to understand that unless you have cash in hand, that a patent in your name will be of very little use to youand/or your backers as a patent only provides you with slight help in a court case for damages against some third party who is manufacturing your invention in commercial competition to you. In other words,from a practical point of view, a patent is nearly useless.It depends on what your goals are, is it to get the device known and seek remuneration with security and at capacity?If this is so and you wantpeople to know about, and replicate your invention, then you can easily utilize Panacea to help document it and publish it on the web. That way, tens of thousands of people read of your work and you canmake a real difference. A substantial number of people are reached daily through the Panacea website and others know to us. If you the inventor decide to share your information with the public, we cancertainly help by putting it on these web sites and on various related sites as well. We also have staff who are able to document free-energy devices from scratch, generally in a way that most people canread and understand, and if you want it, I would be more than happy to prepare documentation for you which can then go out under your name alone. Alternatively, if you want to set up your own web site, thenwe could do that for you very quickly, although, Microsoft's Word is now capable of creating a web page directly from a document, and while doing that is not as powerful as producing the site using htmlcode, it is certainly very convenient and anyone can use it. The disadvantage of you having your own web site is that it takes quite some time before the visitor numbers become significant and even longerbefore the search engines such as Google, place your web site on the first page of their search results.At this time there is no policing infrastructure in place to prevent any vested-interest opposition to progress and the introduction of free-energy devices. Or any legal and or political public assisted plan to free up the reported 1000's of suppressed free-energy patents which could be released at thepresent time and save humanity from ecological damage. It appears highly likely that if you were to publish your invention on the internet, that it would prevent anyone else creating an effective patent onyour design.The security comes form the device being known in the public domain, hence the have no reason to come after you as it wont stop the technology from being known. Some years back a prolific electronic writer and electronics enthusiast named Don Lancaste wrote a Book called "The Case Against Patents"This outlines some of the reasons why creative inventors should not waste time and money with the patent process. There are also influencial bodies discrediting FREE Energy inventions & their patents - All of this has a negative effect and halts progress.The following is an example of this regarding Black light power's technology. Here is a detailed account from the Tom Beardon website explaining the black light power case and the patent office process. You can also read about more patent office case files regarding The Repression of Nonconventional Energy Technologies courtesy of the Orion Project. 1. Publish all your key secrets and ideas in a major magazine, leaving out no detail, and omitting no inside secrets. This can generate positive cash flow and safely tucks all your ideas away in the public domain, preventing most others form attempting to patent them. This will also expose your ideas to the widest public audience. 2. Make a patent application to the European Patent Office but don't follow it through.It can costs about £500 to make the application and that then needs to be followed up by about another £1000 six months to a year later on. The Patent Office publishes your application as a Document of Public Record so that other people can object to what your are claiming as your design. That document never goes away and is maintained and attested to by the Patent Office. If you don't follow through with the second payment for the actual examination of your application, then your application lapses BUT your application remains for ever as a Document of Public Record which the Patent Office will retain no matter what anybody says ever afterwards. People often suggest all sorts of manouvers for establishing the date when you first disclosed the information, but they do this because they do not realize that if somebody else tries to patent that same information, there is very little which you can do to prevent that unless you are a millionaire. If you did want to do that, then just go to any reputable law firm (or Notary Public) and get them to witness each page of your information. They will then retain a copy and (if you pay them) will attest in court that your document was lodged with them at the date recorded on each page. However, if you have made a patent application and later start manufacturing the design, you have a very strong defense in that you are manufacturing in accordance with a Document of Public Record and not to some other patent. But as I have already pointed out, the restrictions are only if you want to manufacture, and almost no inventors want to do that. All options and alternatives have to considered carefully. The idea is to establish that the information originated from you. Option 1. First produce two printed copies of the information and take them to a large firm of solicitors or to a "Notary Public". Get them to stamp, date, and sign each page. You then keep one copy yourself and get them to hold the other in a secure place. This can be used at any later date as a securely established date in a court of law. For example a Dutch Patent.The nice thing about the Dutch route, is that you can publish everything you want about your patent the day after the Dutch patent office receives your application,while still leaving all options open to apply for a patent elsewhere in the world, more information can be found on the dutch patent link refernced above..Then you can decide wether to go the WIPO / PCT route. The case against patents clearly points out that patent protection is often times useless as it takes millions to enforce as well as wasting massive amounts of time which could be much more effectively spent in something productive. Further, minor changes made to your design could well be interpreted by a court as making your patent inapplicable.So, the thrust of a patent is solely against manufacturing and private individuals are always free to make one for their own use. For $200.00 dollars you can upload your idea to the IP.COM web site and they will keep it on file and in the public domain while not allowing anyone else to patent the idea. The patent office uses this IP.COM web site searching for intellectual technology claims as part of their search process when viewing or examining new patent claims. A copyright document published on the Panacea university with your name and announced with PUBLIC proven dates in a public forum is another way. This prevents others from patenting your idea. As long as public record with time and dates can be established as can be the case in a public forum.Put your information on several websites as a self-contained downloadable document (preferably in .pdf form as that is virus free). That way, before the opposition has the time to do anything about it, there will be thousands of copies on PCs throughout the world, and that gives you the added protection of potentially hundreds of people capable of testifying in court that they had a copy of your information in their hands on a date prior to any possible claims by the opposition. Widespread publication on the web (and especially the peer-to-peer systems) puts the opposition in a position where it is very difficult to do anything. Direct frontal attacks draw attention to the information and, worse still, provide it with the recommendation that it bothers them that it is being published. The usual indirect attacks of getting their paid lackeys to shout "impossible", "disproven by the laws of physics", "ridiculous", "it's a scam", etc are not all that effective as a substantial proportion of the people getting your document(s) will never come across those statements, and the more effective people who do come across these rubbish statements are perfectly able to think for themselves. Patent holders working with Open source engineers for security. Besides needing to do this for security reasons, the ethics can be easily defined. Knowing there is no example of any of these without some parts of the others, it is up to us to determine base intent of a scheme or system to see the dominant format. "Open source" seeks to fit into the remuneration catagory for the inventor with a reasonable return for their investment, without trying to get greeedy at the expensie of others. The community as a whole is also seen as a desirable benefactor in the intent of the designer. For those who are worried about releasing their information because of suppression, understand that here and the other Open Source sites ARE the best places to do so. The below is of course not aimed at anyone here in particular: It is to convince inventors that the only chance they have of succeeding in getting their F-E device to market is to Open Source it. Even if you are not a "believer" in the suppressions cases there are plent of other reasons why it can't hurt to take precautions?. .Considering that no inventors have successfully gotten their F-E devices to market yet (even T. Henry Moray couldn't, and he had a long track record of many conventional inventions)... Are you confident that you are so much smarter and "better" that you won't fail where all the rest have? Every threat, buy-off, or especially murder leaves a trail. And "loose ends". The more people involved, the more loose ends. The more loose ends, the easier it is to expose the crimes. Exposure is more dangerous to them than seeing F-E devices on the market: They may then lose profits, but if exposed as criminals they could personally go to jail or face other serious repercussions (..like having their corporations boycotted and investigated until their stock loses all value and they go bankrupt). When hundreds of people all over the world become involved, it is way too dangerous for them to try any "hyjinks". Open Source is the method to defeat the military industrial complex from having the device "secretized" under obscure rules for "national security". According to Thomas Valone PhD, this has happened to over 3,000 patents submitted to the U.S. Patent Office. The way to keep it from happening is to share the information on the device internationally and widely before they have a chance to get a gag order from the courts. According to Stan Meyer, this is the only thing that kept his hydroxy-related patents from being "secretized".If you try to announce and go public alone without the help of the Open Source community, you will get defeated easily. They use derision and denial to just ignore it. But with 100 or more successful replications around the world to point to, it becomes nearly impossible to deny or deride... And too "dangerous" to suppress.If you allow Open Source engineers to replicate it, not only could they improve on it (free R&D), but their findings act as independent verifications. Every replicated device can be shown to local news outlets (less controlled than national news and more likely to feature it). If there are dozens of separate local news stories on these devices.It can not longer be ignored "safely". The millions of people who see or read these news reports will start writing letters to their government asking about it.You must stay away from investors who come to you with money for specific returns. This is one of their best tricks: Giving money with promises of returns by a certain date... So that when the device meets the impossible barriers that they throw at you when it is attempted to be marketed, then the shill investor gets to sue you or claim criminal fraud. And you are suddenly thrown in jail, or the lawyers take everything. It is their last try when the threats, secretization, and/or buy-out methods fail. And it worked against Daniel Dingel and Paul Pantone. You can't give them any reasons to come at you legally.Don't let fear or legal threats of "Patent Infringement" stop you. No corporation in its right mind would allow a public legal trial where they had to admit that they were just sitting on an important invention that could have saved us from pollution and oil dependence ! They would be introuble and no jury would convict you. For F-E devices, patents are more of hindrance and a danger than a help. And despite Open Sourcing it, you are still the Inventor of Record.. You will still get very rich Whats more, your name will go down in History and you will be beloved my millions, if not billions of people (Courtesy of Jibguy). The knowledge of FREE energy engineering has to be known and validated publicly at the faculty level to be secure - As oppossed to JUST HAVING THE SALES OF THE DEVICE accessable.There are many reasons for this. Sharing the technology with open source engineers and at the faculty level can REACH the most people to capacity and help start a critically needed a new genre of FREE energy research and faculty study. Starting a research and development center for this purpose can also help revive past suppressed devices and create social reform with better security into the issue. The FREE energy inventor must ask himself, why did i invent the device?, Is there a part in me that is for humanity since i have invented a device which FREE's people of the ruling class and protects our children's future?. Do i want the knowledge out side of corporate ownership to be SECURE, remembered and to reach as many people as it can?. The list of the many PRESENT AND PAST FREE Energy suppression reports must be addressed and prevented. Patent holders with a FREE energy device (for example the Rosemary Ainslie COP 17 Heater Technology listed on the Panacea university site) have already worked with the open source FREE energy community. In return for the security, R and D benefits were attained and the device can still achieve remuneration. Security is paramount. Plus the device got complete public access and helped us achieve the critically needed job of advancing education. With out this in effect the knowledge would have been masked in the device. Free energy has profound implications to the electrical engineering faculties and 3 world countries plus the ruling class. Having the knowledge taught in a research and development center such as that proposed by Panacea (non profit), secures the knowledge for a new faculty engineering curricular and helps open the door to study the past suppressed devices and advances education.These devices give us advanced knowledge into the universe and is part of understanding our selves. The Research and development center is there to protect and advance them with out interference. New insights into power generation and a faculty "course" into these device(s) opens up this neglected genre of research in electrical engineering. This is going to benefit kids in real time and they will remember the FREE energy engineers names. Its just as lucrative for the patent holder to have the knowledge taught at the faculty level as well as getting remuneration for the devices. Patenting and going open source is the best balance for this task -Contact us. Their combined experience alone is enough to justify the public to sign petitions to commnce regulation and investigation into the patent office. If you haven't already done so, please contact your legislative representatives and demand that they initiate patent law reform that fully addresses the changes that need to occur. SIGN THE PETITION HERE to support the regulation of the patent office. Is The Patent Office And Justice Department Corrupt? By Robert Jackson -I have a theory that the integrity of the patent office and the justice department has been compromised thru political appointees I think a independent investigation should be perform to see if some companies(Republican) and individuals get preferred treatment.These political appointees hire there own people and put them in positions that help in there cause(promoting republican companies and themselves). I think a good indicator would be the percentage of patents applied for and patents granted for companies like Halliburton,ExxonMobil,or any other oil company. The type of patents should be consider too(certain technologies shouldn't be sat on) and the percentage of favorable rulings on there behalf should also be considered. I made a list of red and blue companies. The red companies are:ExxonMobil,ConocoPhillips,Halliburton,Wal-Mart,MCI-WorldCom,General Electric,Hewlett-Packard,EDS,Texas Instruments,Dell Computer, ateway,Verizon,3-M,Morgan Stanley,Merrill Lynch,and New Balance. The Blue companies are:IBM,Microsoft,TimeWarner, oogle,CBS,Apple,New York Times,Syms, attel,Hasbro, artha Stewart,Adobe,PDF Solutions,Actel,and Starbucks. I do think this should be researched and analyze. The lawsuit alleges that Peterlin has never drafted a patent or trademark application, has never prepared a legal opinion on whether an invention is entitled to a patent and has no experience "in managing large-scale information workflow organizations," such as the patent office. source. Las Vegas-area Congresswoman Shelley Berkley announced last August, at a meeting in Las Vegas, a bill for the Small Business Administration to annually provide 750 million dollars in energy loan guarantees (see Berkley Reveals Green Energy Solutions).In response to Berkley's subsequent request for responses from the audience, I explained that the U.S. Patent Office has a nine-member committee which screens patents for national security implications, and that a hidden purpose of this committee is to lock up energy-related patents which could threaten the fossil-fuel monopolies and the power grid (nuclear, coal, etc.). Neil Schmidt stopped in my office on May 12, 1995, to tell me this story about his invention of a hydraulic wind turbine.At this time, he had been living in Las Vegas for seven years. But nine years before, he was living in the Seattle area, and had visited a federal Small Business Administration office there to apply for financial aid.The following day, he received a telephone call. He was told his device would not work, and not to bother with it.He had provided the SBA office with hardly more than a sketch, so a hot argument erupted which lasted half an hour. The caller ended up hinting death to Neil if he didn't stop working on his invention.A couple of days later, Neil went back to the office and walked around unsuccessfully trying to identify the voice he had heard on the telephone. Neil also has heard that another energy inventor living near his Washington residence had been shot in the head and blinded. Story No. 2- When one of my inventor friends was a young man, he invented a 90-mpg carburetor. He was paid a visit by four men, including one from Standard Oil and two wearing U.S. Marshal's uniforms.They told him that if he ever made another carburetor, they would kill him, his wife, and two young children. He was quickly persuaded that his life wasn't worth a "damn carburetor." He happened to think to memorize the badge numbers of the two "US Marshals," and so had an attorney in Washington, DC, check with the US Marshal's office. They had no record of the two badge numbers. Story No. 3-In the 1930s, Henry T. Moray was refused a patent on his cold semiconductor cathode, allegedly because the patent examiner couldn't understand how it could emit electrons. 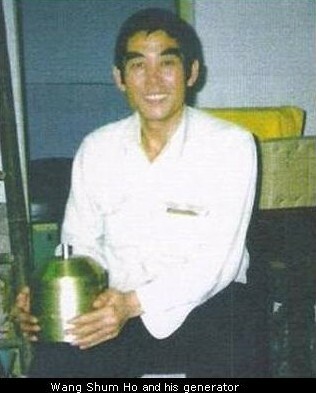 Twenty years later, the development of the transistor proved that his device could actually have worked. 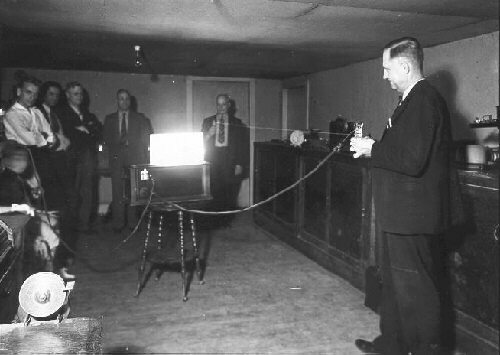 Then in 1940, Moray demonstrated before members of the Public Utilities Commission (PUC) his free energy generator, which gave a continuous output of 250,000 volts with no apparent input. The next day he was found shot in his lab, and all of his notes and device were stolen.Currently, the Cosray Research Institute of Salt Lake City has been collecting Moray's papers from old acquaintances and attempting to duplicate the device. Story No. 4- In May 1974, John Andrews, a Portuguese chemist, demonstrated a water-to-gas additive before Navy officials. The additive allowed ordinary water to be added to gasoline without decreasing the combustibility of the gas. It would have driven the cost of gasoline down to two cents per gallon.When U.S. Navy officials finally went to his lab to negotiate for the formula, they found Andrews missing and his lab ransacked. Story No. 5-In July 1974, the Los Angeles District Attorney, acting under orders from the "top," raided the assembly plant of Ed Gray and confiscated his prototype generator, as well as his plans and records.They brought numerous false charges against him, and defied all attempts by Gray's lawyers to get the confiscated materials returned.Gray's opponents have driven him into bankruptcy (Generator, Free Energy, Patent No. 38,905,480). Story No. 6- September 3, 1978, a U.S. Government agency restricted development of a CB radio and telephone privacy device. The device had been invented by four men — Carl Kicolai, William Raike, Carl Quale, and David Miller, of Seattle, Washington. It prevents eavesdropping on CB radio and telephone transmissions for nonmilitary, nongovernment use. The patent was applied for and refused. The National Security Agency was quick to issue a secrecy order against them, preventing them from even talking about the invention without risking a jail term.The order was received six months after a patent was filed for the device. The Patent Office wrote: "Your application . . . has been found to contain subject matter, the unauthorized disclosure of which might be detrimental to national security. "Story No. 7-Most people believe that it is impossible to build a motor run solely by magnets. Howard Johnson spent six years fighting the Patent Office to accept the reality of his magnet motor. They finally granted him U.S. Patent 4,151,431. There are dozens of other magnet motor patents.Many achievements in developing free energy from magnetism have occurred in obscure basement workshops all over the country. In most cases, these achievements remain the secret of the inventor, who fears reprisal. Engineers at Hitachi Magnetics Corporation have publicly admitted that a motor run by magnets is feasible and logical. But the politics of the matter make it impossible for them to pursue developing a magnet motor, or any device that would compete with the energy cartels.Recent Developments: Reviving the OTA OTA, or Office of Technology Assessment, is an arm of Congress that formerly — from 1972 to 1995 — provided comprehensive assessments of a wide range of scientific and technical issues.In August 2001, I learned that Rush Holt (D-NJ) has introduced legislation in the House of Representatives proposing to return the OTA to active status (OTA — see nie.org/Updates/106.htm). During its years of operation, OTA supplied Congress with background papers, briefings, and testimony, but was best known for its in-depth, objective reports of complex scientific and technical issues. These reports took one to two years to produce and could be requested by the chairman of any Congressional committee.OTA's Environment Program addressed areas including environmental health and risk management, the use of renewable resources, and pollution prevention, control and remediation. Its reports covered topics such as agriculture, biological diversity, air and water pollution, the effects of weather and climate change, management of solid, hazardous, and nuclear wastes, risk assessment methods and policy, and public land management.Resurrecting OTA was suggested in Recommendations for Improving the Scientific Basis for Environmental Decision Making, a report from the first national conference of the National Council for Science and the Environment (NCSE). For details about OTA, including an archive of reports, see www.princeton.edu/ota, or contact Kevin Hutton, Webmaster, National Council for Science and the Environment, 1725 K St. NW, Suite 212, Washington, DC 20006, website cnie.org. It's Probably Closer to 4000 Thomas Valone, of the Integrity Research Institute (iri@erols.com) wrote to me saying that my suggestion to Congresswoman Berkley was "an answer to a prayer." Integrity Research Institute (IntegrityResearch.org) and the Disclosure Project both support your suggestion. I will be happy to cooperate with your requests (see "How You Can Help," below), and even meet with staffperson Guiton at his convenience. As a former Patent Examiner, I can tell you that the number of "secretized" patents in the vault at the Patent Office (Park 5 Bldg.) is closer to 4000 or more. They [applicants] never receive a patent number, and the inventor is rarely, if ever, compensated by the government for use of the invention.Since you have taken the initiative to start this process, we can help by contacting our Congresspeople and asking them to send letters to Congresswoman Berkley in support. I also suggest that we all should ask our Congresspersons to contact the three committees that are pertinent to this subject: Environment and Public Works (headed by James Jeffords); Energy and Natural Resources (headed by Jeff Bingaman); and Commerce (headed by Ernest Hollings).Help from Down UnderConcerning the proposal of an energy bill to declassify patents, Australia's Trevor Osborne (wharmony@iinet.net.au) wrote me that he has sent out an email to about 100 opinion leaders who might help perpetuate the momentum. "So the momentum is gaining speed," Osborne wrote. "First, we had the Disclosure Project. Now we have the proposed Energy Bill to Declassify Energy Patents. So please do your best to pass this news on to anyone who may be interested in writing to and/or phoning their Congressperson to offer their support to this bill. "Meanwhile on Capitol HillThe energy bill that was actually passed by the House was not about strengthening America's strategic energy position. Rather, it was about something much simpler — a gigantic giveaway to the energy industry.The dishonesty began with the bill's very first sentence: "To enhance energy conservation, research, and development. . ." In fact, the bill not only ignored conservation, it actually subverted it, epitomizing Vice President Cheney's view that "conservation is for wimps. "The bill, among other things, extends a loophole for automobiles that can also run on ethanol but rarely do; this means that overall vehicle fuel efficiency would probably be reduced. Yet 36 Democrats joined Republicans in voting for this legislation, giving President Bush a comfortable margin of victory — and, as with the tax cut, bipartisan cover.Not surprisingly, it was mostly Democrats from auto-producing and energy states who supported the bill. These included John D. Dingell (Michigan), Brad Carson (Oklahoma) and Chet Edwards (Texas), as well as Californians Joe Baca (Rialto) and Calvin M. Dooley (Visalia).The bill is a natural target for Democrats. For one thing, the links between campaign contributions and the bill's provisions could hardly be clearer. In an analysis released by Rep. Henry A. Waxman (D-Los Angeles) called "Hitting the Jackpot," the rewards for industry are outlined.The report mischievously observes that the cumulative value of the 2000 election-campaign contributions by the coal, oil and gas, nuclear, and utility industries — the lion's share of which went to the GOP — was 69.5 million dollars. But the total value of the tax breaks and subsidies is 36.4 billion dollars. The rate of return on these campaign contributions was thus a whopping 52,200 percent!Specifically, the coal mining industry, which contributed 3.8 million dollars, would receive 1.1 billion dollars in direct subsidies in the next three years, and an extra 1.4 billion dollars over the next seven years.Typical of the bill is that government would assume the industry's costs for applying to mine coal on federal lands.The oil industry, which contributed 33.3 million dollars in 2000, would get tax breaks worth 12.8 billion dollars, according to the Joint Committee on Taxation. For instance, it would no longer have to pay royalties for oil and gas lease sales.The only good news is that the Senate is not likely to pass the energy bill unamended. I can see several ways you can help me declassify energy patents by focusing a public spotlight on the Patent Office's patent secrecy performance. First, you can help me by providing references to back up my claims concerning the 9-member screening committee, the 20-year jail sentence for breaking a "gag order," and the number and nature of the classified patents. I will in turn send these to Mark Guiton, legislative director in the U.S. House of Representatives.Second, it will also help if you can provide me with name and contact information for an expert on classified patents. I can then suggest to Mark Guiton that he go to this expert for information and advice.Third, if you can, please give thought to the mechanism that might be incorporated into the new section of the legislation, specifying exactly how the patents are to be reviewed and declassified. One crucial feature would involve how people are selected for the review agency to assure that they will be honest, rather than "toadies" for fossil fuel and nuclear interests. I feel that it would be of value to hold a public seminar in the Washington, DC, area on the subject — perhaps in a Patent Office auditorium. Any way in which you can lend support to such a seminar would be welcome.And it will assist my own endeavors if someone could email me a copy of the actual form the Patent Office uses when directing an inventor to stop working on an invention (vman@skylink.net). In Conclusion I think Congresswoman Berkley deserves high praise for introducing an unusually progressive energy bill. I urge you all to write your congresspeople and senators to support a bill which would include a provision for systematically reviewing all classified energy patents for release.Gary Vesperman is a tireless writer and activist with knowledge in a vast area of subjects of interest and concern to modern technology and our way of life. His mailing address is 3123 Trueno Road, Henderson, NV 89014-3142, phone 702-435-7947. He can be reached via email at vman@skylink.net. 1. Please note that I have not independently verified the truthfulness of these stories. 2. Called "gag orders," defiance risks a 20-year prison term. 3. Cosponsors of the OTA-revival bill include Thomas H. Allen (D-ME), Tammy Baldwin (D-WI), Judy Biggert (R-IL), Earl Blumenauer (D-OR), Sherwood Boehlert (R-NY), Rick Boucher (D-VA), Lois Capps (D-CA), Michael Capuano (D-MA), Wm. Lacy Clay (D-MO), William J. Coyne (D-PA), Joseph Crowley (D-NY), John D. Dingell (D-MI), Lloyd Doggett (D-TX), Michael F. Doyle (D-PA), Vernon J. Ehlers (R-MI), Eliot L. Engel (D-NY), Bob Filner (D-CA), Wayne Gilchrest (R-MD), James Greenwood (R-PA), Tony P. Hall (D-OH), Jane Harman (D-CA), Joseph M. Hoeffel (D-PA), Rush Holt (D-NJ), Michael M. Honda (D-CA), Amo Houghton (R-NY), Steny H. Hoyer (D-MD), Dale E. Kildee (D-MI), Ron Kind (D-WI), John J. LaFalce (D-NY), John Lewis (D-GA), Zoe Lofgren (D-CA), Edward J. Markey (D-MA), Karen McCarthy (D-MO), Jim McDermott (D-WA), Cynthia McKinney (D-GA), James P. Moran (D-VA), Constance Morella (R-MD), Jerrold Nadler (D-NY), Richard E. Neal (D-MA), John W. Olver (D-MA), Bill Pascrell, Jr. (D-NJ), Donald M. Payne (D-NJ), David E. Price (D-NC), Tom Sawyer (D-OH), Christopher Shays (R-CT), Louise McIntosh Slaughter (D-NY), Adam Smith (D-WA), Vic Snyder (D-AR), Hilda L. Solis (D-CA), and David Wu (D-OR). 4. See disclosureproject.org. See also this month's Spirit of Ma'at article titled Secrets From the Stars. 5. His email is Mark.Guiton@Mail.House.Gov. He also can be reached: by mail at U.S. House of Representatives, 439 Cannon Building, Washington, DC 20515; by phone at 202-225-5965; and by fax at 202-225-3119.